Honoring the Lord in all we do by operating the company in a matter consistent with Biblical principles. 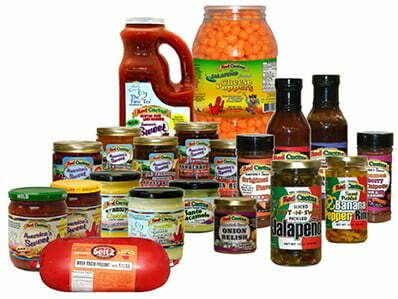 Distributing food products that are lightly sweet and have exceptional flavor and homemade taste. We believe that it is by God's grace and provision that Red Cactus-USA has endured. He has been faithful in the past, we trust Him for our future. 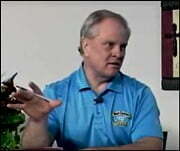 Steven C. Lehenbauer, Founder of Red Cactus USA (makers of Americas Sweet Salsa) and Link up to Life Ministries. 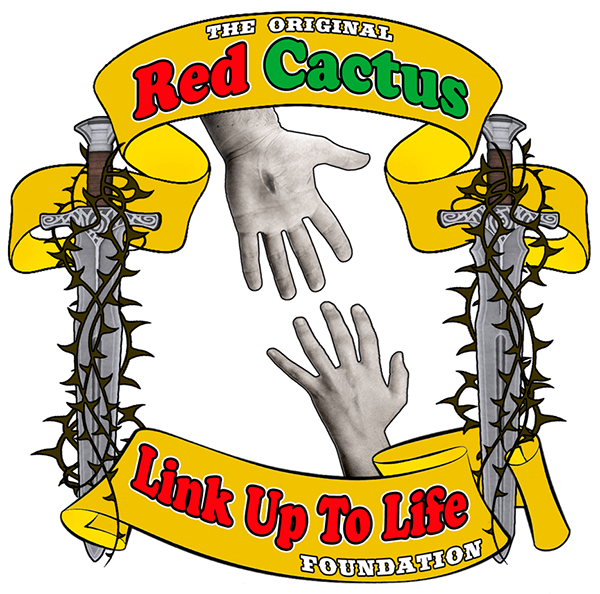 Contact info: email - [email protected] or phone: 217-653-8147 www.redcactussasla.com and www.linkuptolife.org To read further, click HERE to read "From the Cactus to the Cross." Testimony: God Encounter: In the summer of 1992, while driving down Highway 70 in St. Louis as I had many times after a night of fun, I felt what was like a tap on the shoulder. It startled me and I looked around and then heard God speak to me very clearly. He said stop living my life the way I was or I would soon be dead! This shook me tremendously and truly moved my heart. A couple of months before this encounter I had been invited by a friend to go to church in St. Louis. I enjoyed being there very much. I did not leave there completely changed, but I know that a seed was planted that day. God was ordering the steps to save my soul! Weeks after this experience on the highway in St. Louis, God again had a friend invite me to another church. It was the River of Life Family Church in Quincy, Illinois where I lived. Wow, God touched my heart in a big way that day. The power of worshiping God and feeling his presence made a permanent change in my life as soon as I stepped into the sanctuary. The worship and the sounds of a flute begin to overwhelm me with His presence and minister to my heart. The experiences I had known from my young years in church flooded my heart. God's loving Spirit had gripped my heart and was not going to let go. I did not want it to let go either. The love of God I felt was beyond words! It locked onto my heart and I would never let go! From this day on, he would slowly begin to rearrange my life and begin a Spiritual Journey that would eternally change my life. I would find myself giving up my old ways and no longer desiring the same music and stuff. All of the music CD's I owned were thrown away in the trash since I did not want anyone else to have the junk. I stopped drinking and no longer was going out on weekends and instead desired church life. These were not hard decisions, they just happened and I liked it! My friends I had before would now go away and I would desire friends of Faith. Cool thing about my old friends is that at this change in my life, they all somehow had new paths. I remember three of my close friends ended up moving out of town. I really think God cleared my path to help me stay on course. On September 27, 1991 I accepted Jesus Christ into my heart at a Dallas Holm concert. This was the beginning of a Purpose Driven Life, giving me an awesome reason to live for. Several years later He had me start a business called Red Cactus and start selling a sweet salsa. Over the years to come I would have many God Encounters and experiences. I would learn what it is to abide and walk in His ways, His Will - not mine, to walk in Faith and the Spirit, pray and seek His face and literally come to a place of Total Surrender. We now sell the salsa in 30 plus states, but the true reward is how he taught me through a business to rely on Him and come to a place of Peace and Joy only He can give. This in my journey called, "From the Cactus to the Cross". I would love to come to your church or place of meeting and speak, tell stories and encourage all to serve Christ and Know His ways, His Word, Pray and see Jesus lifted up and Glorified. Red Cactus-USA, "Country Sweet," Salsa started in April, of 1995 by Steven Lehenbauer on a minimal budget and a hopeful heart. The original recipe was inspired by my Sweet Aunt Gracie many years ago. She had been in her kitchen preparing a batch of sweet salsa, when she realized she had run out of sugar. Her Dad had just stopped by with a jar of Sweet Sorghum Syrup. She thought, "I'll think I'll try some of the Sweet Sorghum Syrup." Needless to say, it tasted wonderful and family and friends loved it. A few years later, I had the inspiration to try marketing the salsa with a wonderful, lightly sweet flavor. Now, I had no experience in the food industry and did not really know what was ahead of me. But being young and courageous, I set out. Very unusual though, because I had always been a very low risk taker, and this would require me to invest all the money I had, sell my car which I owned and loose any kind of paycheck for months, but that entrepreneurial spirit inside of me said to go forward. Sitting at my kitchen table one evening, I doodled with pen and paper, while contemplating on the company name and logo. The name and replica of the image I drew appears on each jar of Red Cactus, "Country Sweet" product still today. Now, with a product and a label, I proceeded to have the sweet salsa manufactured and began cold calling on local stores. The product was received very well and people loved the lightly sweet taste. It was at this point, where the real challenge would come, how to market the product away from my local area, mishaps in manufacturing the product, financial strains, recipe changes and the list goes on. But through it all, Red Cactus not only had a good product, but it seemed someone was looking out for us and had a purpose beyond what I could have imagined at that point. Nine years later, with many challenges and successes behind us, Red Cactus "Country Sweet" Salsa has sold thousands on thousands of jars of salsa all over the country and continues to grow and meet new challenges everyday. I changed the company name from Red Cactus Foods to Red Cactus - USA, Inc. several years ago, when I realized the scope of where the business was heading. Maybe soon, it will be sold internationally. As a man of Christian beliefs, I now understand more that ever, that it was God who gave me the idea! I would not have been able to handle the pressures of starting a business such as Red Cactus without his strength in my life. Therefore, to honor him, every jar of salsa has had a scripture reference on it from day one. Mark 9:23 where Jesus states, "All things are possible to him who believes!" was chosen and used during the beginning years and was later changed to Deut. 8 (Deuteronomy - Chapter Eight), which explains the complete history and success of this business and personal testimony from a Christian perspective.